Keysight Technologies, Inc. announced a solution that supports simultaneous cellular and WiFi testing. 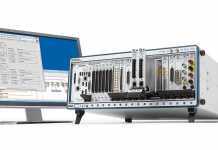 The T5510S Cellular + WiFi Emulation System is a powerful, flexible platform enabled by the combination of Keysight’s UXM network emulator and the Ixia Solutions Group’s Wave Test System. The result is an industry first—a test platform covering a complete cellular and WiFi system, from data traffic generation to physical transmission, layers 1 to 7. “Customers can view the performance of the complete protocol stack with the end-to-end performance verification needed for emerging and demanding applications such as IoT, connected car and 5G,” said Bethany Mayer, president, Ixia Solutions Group. 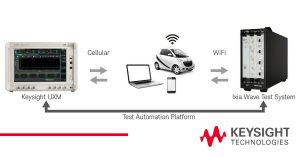 The T5510S Cellular + WiFi Emulation System also includes Keysight’s flexible Test Automation Platform and ady-to-use, built-in test cases. This complete system delivers unmatched capabilities for testing with the latest cellular standards (LTE/LTE-Advanced/NB-IoT/Cat-M) as well as all WiFi protocols (802.11a/b/g/n/ac) under a wide range of traffic and RF emulation conditions. 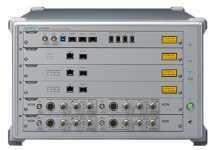 Product information is available at T5510S Cellular + WiFi Emulation System. Previous articleWhat So Good About HP’s New Nvidia-Powered Backpack VR PC ?